Following on from the success of the Comrades merchandise last season, the Club are pleased to announce a new range of replica kit and matchwear, available to order. 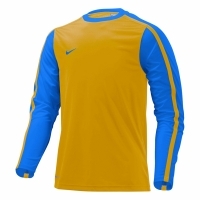 If replica kit or teamwear are what you want, the full range of Nike products are available in a choice of colours, complete with Comrades crest. Alternatively, polo shirts, rugby shirts, sweatshirts and hoodies are also available, again with Comrades crest. For an additional cost of £2 per item, you may add your initials to any item apart from replica kit. Delivery is 10-14 days, and all orders can be made at the clubhouse on matchdays, or by contacting Scott at scottwhite@gmx.com.